LOS ANGELES — David Liu made his first fortune more than two decades ago, exporting American scrap metal to his rapidly industrializing home country of China. After the financial crisis, he scored big again, buying thousands of distressed apartments in the United States and selling them later for a tidy profit. Liu is now convinced he's spotted his next major haul, this time in a seemingly unlikely place for Chinese investment. The millionaire developer is betting that the oft-dismissed wine region of Temecula is poised to break out as a far bigger destination for oenophiles and tourists given its proximity to Los Angeles, Orange County and San Diego. "Napa Valley is bigger, but it's too far away," said Liu, 57, a former statistics professor turned real estate developer. "Here, we have 20 million people living at least a two-hour drive away. And the quality of the wine is much better than before." Liu, an American citizen who splits his time between China and the U.S., purchased 700 acres of barren Riverside County land in the heart of the appellation that had previously been destined for tract homes. In its place, Liu and his company, Standard Portfolios, are building a sprawling wine resort and residential community tentatively named Twelve Oaks that will include a Marriott-branded hotel, a winery, event space and multimillion-dollar homes, many of which will be custom-designed and surrounded by private vineyards. Investors in China are financing the several-hundred-million-dollar project. The homes will be marketed locally as well as to buyers in China. The project comes at a time when Chinese investment has spilled over from the traditional Southern California destinations of Los Angeles and Orange counties to the Inland Empire, where property is cheaper and wineries go for a fraction of the cost of their counterparts to the north (though Napa Valley has seen some Chinese investment, including from former NBA star Yao Ming). Twelve Oaks, which is scheduled to open in 2019, is the biggest of at least five projects backed by Chinese investors in Southern California's primary wine-producing region, which consists of about 40 wineries. Among them is Avensole Winery, a hilltop estate owned by a former scriptwriter turned litigator who found a group of Chinese investors to help build the now year-old business. Another project is the proposed Europa Village, a residential, hotel, winery and event space development partly paid for with $60 million from more than 100 Chinese investors through EB-5 visas — a program that allows foreigners to apply to become legal U.S. residents in exchange for investing $500,000 or more in a business that creates or preserves at least 10 jobs. The infusion of foreign capital bolsters a plan backed by Temecula Valley wine producers to more than double the number of wineries in the area to more than 100 by 2020. The expansion is aimed at boosting a local tourism industry that generated about $700 million in 2015, according to the most recent statistics. Chinese investment has slowed because of new regulations in China aimed at stemming capital flight. But over the long term, experts say, Chinese companies and investors will continue to snap up assets abroad. The addition of more wineries and investment might further help Temecula shed its reputation as just a jaunt for bachelorette parties and unpolished wines, a change that could lure more oenophiles who would ordinarily head for Paso Robles or Santa Barbara. "Compared to Napa and Sonoma, we're like a little baby," said Terri Delhamer, a leading real estate broker in Temecula Valley, which opened its first commercial vineyard in 1968, more than 100 years after Napa Valley's. "The fact we're attracting more capital and investment is definitely helping us. The more money you bring in to the region, the more you'll invest in quality wine, which helps us gain credibility." 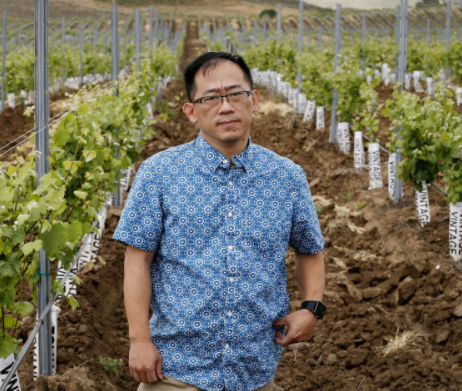 For many of the Chinese investors, they not only get a chance at visas for themselves and their families, but the perceived prestige of owning a piece of California wine country — albeit not the kind celebrated in the pages of Wine Spectator.